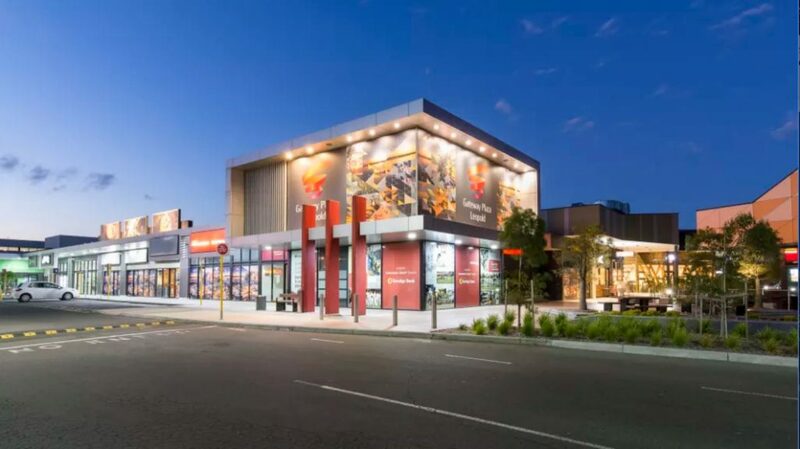 Vicinity Centres, the country’s biggest retail landlord, is pushing ahead with its strategy of focusing on flagship assets, selling 11 smaller malls for $631 million despite the retail headwinds, reports The Australian. SCA Property Group, a major landlord of Woolworths, will buy 10 shopping centres from Vicinity for $573m. The portfolio includes Bentons Square and The Gateway in Victoria, Lavington Square and West End Plaza in NSW, North Shore Village and Oxenford Village in Queensland, Currambine Central, Kalamunda Central, Stirlings Central and Warnbro Centre in Western Australia. A private investor has bought the Belmont centre, Barwon Heads, Victoria, from Vicinity for $58m in a deal settled late last month. Once completed, SCA will own and manage more than $3.1 billion of convenience-based shopping centres, making it the largest convenience-based retail specialist in Australia. SCA Property will buy the portfolio using a combination of equity via a share placement of $301 million, the sale of its stake in rival Charter Hall Retail REIT in the coming year and a debt facility of about $365 million. 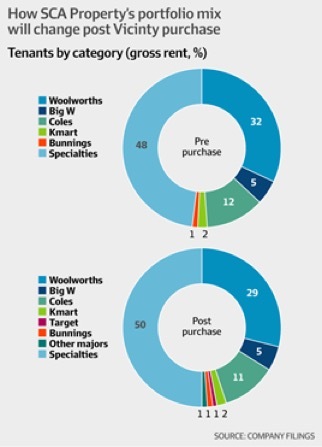 With pressure on landlords increasing as physical store retail sales slide, SCA is taking the risk of buying the poorer-performing shopping centres in a bet it can turn them around within two years when a rental guarantee drops off, says the AFR. “This job is going to be hard work but we have done it before and we can do it again,” SCA’s chief executive Anthony Mellowes said. Despite some weakness in the underlying retail sector, shopping centre assets are in high demand for their recurring income and land values. This has partly prompted the recent sales activity, as the landlords look to rationalise their portfolios, says The Age. Vicinity chief executive Grant Kelley said the strategy had parallels to Scentre or the former Westfield. Vicinity had similar mall sizes and specialty sales to these two peers, it offered cheaper rents, which it may be able to increase over time, he added. Although the Australian retail landscape faces the challenge of low wages growth, he noted recent upbeat sales figures for Unibail-Rodamco-Westfield’s US malls given a healthy US economy that could be a harbinger for Australia. These transactions form part of Vicinity’s non-core asset divestment program, of the sale of up to $1 billion of sub regional and neighbourhood shopping centres, announced in June 2018. Vicinity also opened its new, fully leased $150m DFO in Perth yesterday, an example of how the group has been redeploying proceeds of asset sales. Currently there are close to $1 billion of additional retail assets on the market, including malls deemed non-core by Scentre Group and Stockland. But recently Blackstone and GPT Group have withdrawn their proposed divestments as they review buyers’ appetites.